Women and girls should be encouraged to enter the ICT sector that is dominated by men. Encouraging more European women into ICT (information and communication technologies) could boost the EU’s GDP by €9 billion a year, according to the European Commission. Yet women currently only make up 30% of the 7 million people working in Europe’s digital sector, and they are under-represented at all levels, especially in decision-making positions. This chart shows the gender of ICT specialists in European countries in 2014. While gender-specific data on employment in ICT is hard to come by, especially in developing economies, the lack of women working in the industry is a worldwide problem. International Girls in ICT Day, on 28 April, aims to address this gender imbalance by encouraging and empowering girls and women to consider careers in computing. The initiative also calls on governments and technology companies to do more to provide opportunities for women in the industry. The ICT sector is a growing industry with more job openings than qualified candidates, as it contends with a shortage of students studying STEM (science, technology, engineering and maths) subjects. Despite this opportunity, the gender gap in STEM industries remains stubbornly high, with women representing around 26% of the STEM workforce in developed countries. In developing countries, the figure is even lower. 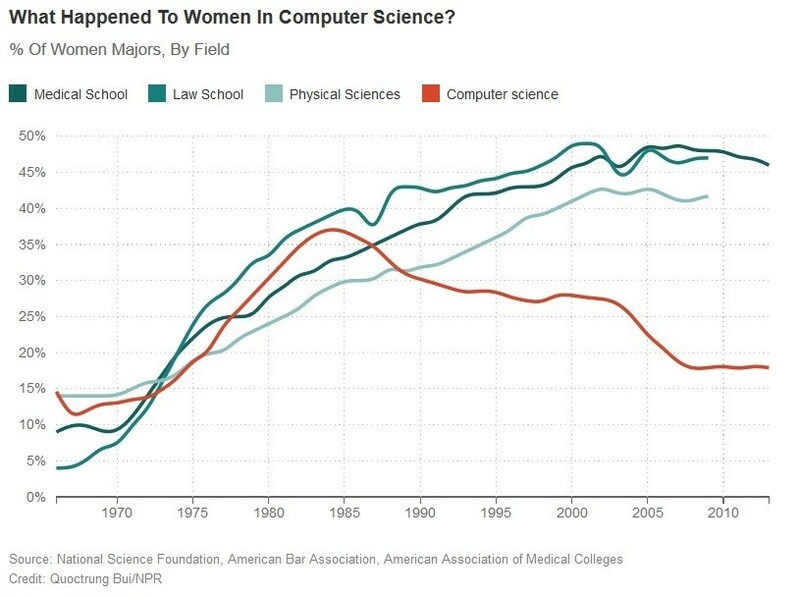 Women were heavily involved in pioneering and developing the computer programming industry, but this changed when the technology sector began to be perceived as a “man’s world”. Today, women make up less than 40% of the total workforce in some of the top tech companies, and when considering only tech-related roles they are even more under-represented. 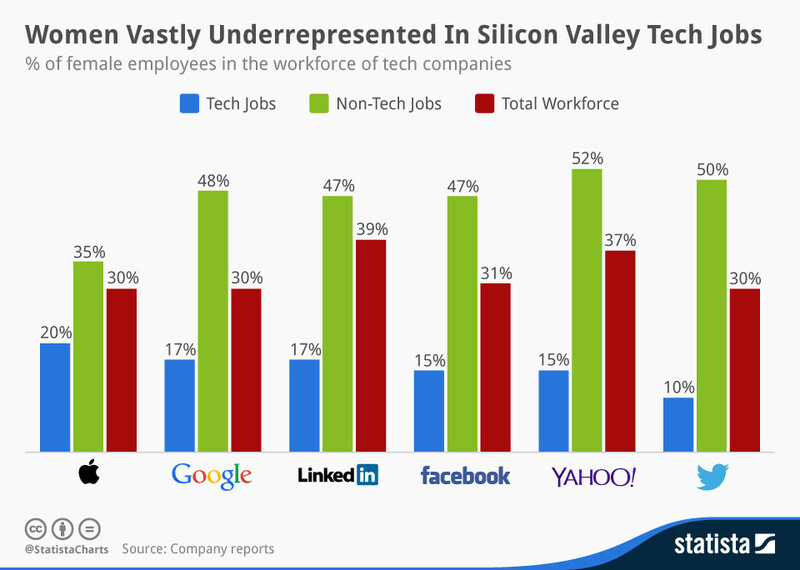 Apple has the highest proportion of female employees in tech roles, however this figure is still only 20%. At Twitter only 10% of tech positions are filled by women. Women view the ICT sector as male-dominated and this is putting them off entering the field, according to the International Communications Union, the main partner for International Girls in ICT Day. But encouraging girls and women to choose ICT as a career could change this perception and help more women to become leaders in the industry. “Not only are jobs in the ICT sector lifting women out of poverty, a more gender-balanced sector offers fulfilling mid and high-level careers, and enables highly talented women to springboard to the top of the career ladder,” the Girls in ICT initiative states. Where are the missing women in tech?